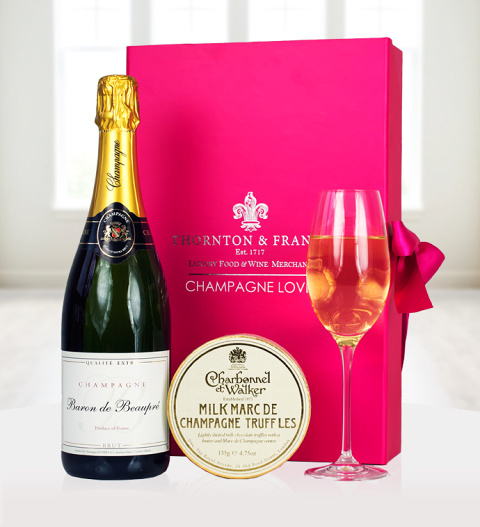 For those extra special occasions the Champagne Lover gift is one with a difference by Thornton and France. Baron de Beaupre Champagne with exceptional perfumes of fresh flowers, the king of fine French champagnes. Also included are Milk Marc de Champagne Truffles by Charbonnel et Walker, master chocolatiers. A gift perfect for all occasions, The Champagne Lover is available for UK next day delivery.